When you’re close to a breakthrough, you need answers fast—without having to wait for an outdated storage system to catch up. As imaging data sets grow to unprecedented size and complexity, you need storage designed for high performance at vast scale. 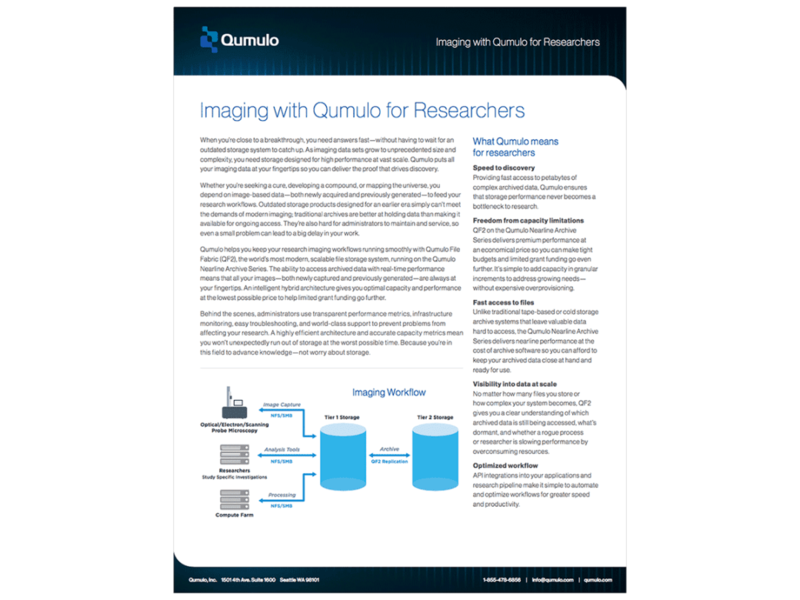 Qumulo puts all your imaging data at your fingertips so you can deliver the proof that drives discovery.